America's Offshoring Debacle: What happened? COMSOL Multiphysics version 4.4. is here! Wedge-locking washers from Nord-Lock solve the toughest bolting challenges, even when exposed to severe vibration and dynamic loads. Nord-Lock washers secure bolted joints with tension instead of friction. It is a high-quality product with documented success in many industries worldwide. Request a free sample today! Click here to visit Nord-Lock and request a free sample. Learn how engineers at Cleveland Golf, the international manufacturer of wedges, woods, drivers, and other golf equipment, uses 3D printing to verify designs and cut costs. The company was the first to market wedges with multiple bounce options on the sole and individually mill grooves into wedge faces. Get advice on designing injection molded parts. John Biagioni, president of Dynisco, talks about real-world Total Cost of Ownership (TCO). "Like the hidden costs that damaged the offshore movement," Biagioni says, "there are hidden efficiencies from a numbers-driven design effort that ignite cascading and far-reaching benefits." Researchers from UCLA's Henry Samueli School of Engineering and Applied Science have developed a transparent, elastic organic light-emitting device, or OLED, that can be repeatedly stretched, folded, and twisted at room temperature while still remaining lit and retaining its original shape. More than at any time in automotive history, performance factors are based on interdependencies that ripple throughout the vehicle, particularly for hybrids that combine combustion engines with electric propulsion systems. Modelon, a worldwide supplier of products and services for system design and optimization, recently used a model-based systems engineering (MBSE) approach to evaluate and balance multiple performance attributes for an e4WD hybrid car. MBSE-based technologies are used by major automotive manufacturers such as Audi, BMW, Daimler, Toyota, Volkswagen, Volvo, and others. Standex-Meder Electronics has put together a great, no-cost, basics-to-advanced training module on magnets and magnetism. "Magnet Technology and Their Uses" is ideal for helping design engineers explore what magnets are, what they do, and how they are used in electronics design. Magnet usage is increasing in electronic applications because magnets can be used to switch reed sensors using no power, a significant asset in today's energy-constrained world. The magnet training module is supplied as part of Digi-Key's PTM Online ... On Demand product training modules. If you don't want to sit through the whole thing today, you can always come back later. Check out the training module. New microPEM TackSert pins provide reliable fastener solutions to attach top panels securely to a base panel or chassis in compact electronic assemblies. These pins provide practical alternatives to micro screws by eliminating the typically costly issues associated with threaded hardware (including inserts, tapping, cross-threading, torque control, and vibration back out). They will attach top panels (of any material as thin as 0.2mm/.008 in.) to base panels or chassis manufactured from common magnesium die-cast materials (such as AZ91D) or plastics (such as ABS). 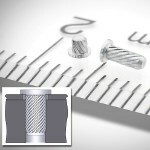 Their unique diagonal knurl effectively holds the top panel to a base panel or chassis by broaching into the base panel/chassis using a simple press-in action without heat or ultrasonics. 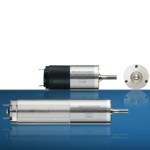 Designed for battery-powered and low-voltage applications, the MAC402 is now available from Danish company JVL, a leader in the field of integrated servo and stepper motors. The MAC402 is the VDC version of the popular MAC400 400-W integrated servo motor. The supply range for the MAC402 is from 12 VDC up to 48 VDC, and full power of 400 W (RMS) up to 1200 W (peak) can be reached with 24 VDC to 48 VDC. 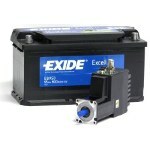 This powerful, compact motor measures just 191 mm (7.52 in.) x 60 mm (2.36 in) x 114 mm (4.49 in.) Applications include but are not limited to: remotely operated robots, robotic vehicles, portable equipment, tracking devices, antenna mounts, and positioning devices. A big advantage of using an integrated MAC motor is that there is no need for a separate servo driver/controller. Thanks to the sturdy construction, the FAULHABER metal Planetary Gearheads are ideal for applications that demand the highest torque. The new 17/1 gearhead is the latest addition to the FAULHABER gearhead product line in the 16-mm to 20-mm diameter range. The 17/1 gearhead is available with up to five gear speeds, with standard reductions of 3.33:1 to 1,367:1. The 17/1 series, with a diameter of 17 mm and stainless steel housing as well as steel and hard metal Planetary Gearheads and pins, is designed for continuous torque of 550 mNm and short-term loads to 800 mNm. Sintered bearings ensure axial shaft clearances under 0.1 mm. The result of several years' collaboration with major aerospace customers, NCSIMUL Machine 9.1 makes it possible to replicate material laying processes executed by Numerical Control machines. Just as it does in conventional machining, NCSIMUL Machine 9.1 decodes all types of NC programs, representing the complete machine environment in 3D to identify and analyze programming errors and collisions. 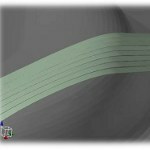 The "Composite" option of this version also enables a dynamic representation of fiber ribbon laying, taking into consideration the 3D form of the carbon fiber. The positioning of each fiber in the ribbon is managed independently. Feeling blue about your 3D printer's limitations? Well now you can feel green too. Read all about what the Objet500 Connex3 Color Multi-material 3D Printer from Stratasys, the 'supercar' of printers, can do. Versatile and reliable, silicone adhesives are prime for use in the engineering of appliances, electronics, outdoor power equipment, aerospace components, and myriad other products. Shirley Monte of FLEXcon lays out some reasons that silicone adhesives are considered a better alternative to traditional joining methods, including screws, nuts, bolts, rivets, welds, and other mechanical fasteners. Watch how Universal Robots optimized production by 35% at the milling machine while offering an ROI of 18 months at OTV Plast. Letting the robot arm take over many repetitive manual tasks enabled OTV Plast to bid for orders not possible before.